The United States government has given the go ahead regarding $2.5 billion in upgrades and modifications of U.S. military vehicles set to be sold separately to the United Arab Emirates as surplus equipment. Navistar International Corp, Britain’s BAE Systems and Oshkosh Corp, the Pentagon’s Defense Security Cooperation Agency are set to perform the maintenance should everything go through with no hangups. 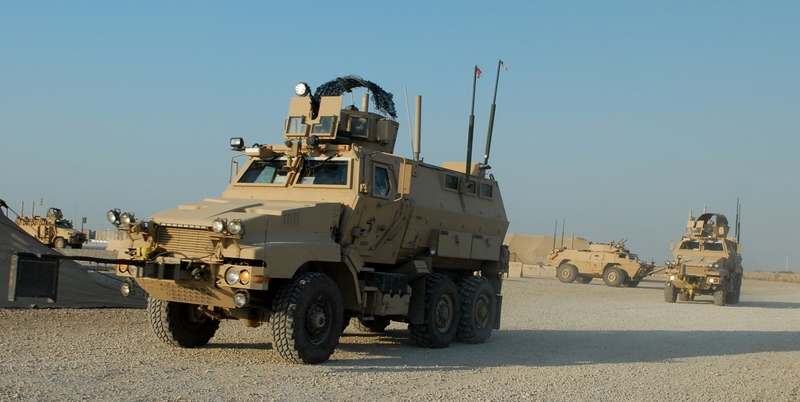 The Pentagon agency reported the UAE has already asked for the refurbishment and modification of 4,569 Mine Resistant Ambush Protected (MRAP) vehicles. The deal would offer much needed protection for UAE troops and their trade routes, in addition to incentives like spare and repair parts, support equipment, and personnel training and training equipment.